Why do we have a sense of smell? The smell of fruit directs us (or at least the lemurs) to the most mature fruit, and even our interpersonal relationships are affected by smells. But some researchers believe that its original use by the first animals, the advantage it gave them over the lack of sense of smell, is actually navigation. Now researchers from Canada have shown that people with a better sense of smell also navigate better. The olfactory bulb, the region of the brain that receives information about odors from the nose and makes the initial processing of the odor, exists in many species of animals. It has been identified in mammals, birds, reptiles and fish, and there is a similar structure, even in crabs and insects. For some, the bulb is very small compared to the size of the brain, and for others it is very large. A study published several years ago showed a link between the size of the bulb and the animal's need for spatial orientation. for example, mail pigeons that need to find their way to the dovecote have large odor bulbs, compared with nearby species that are not very good at navigating. In mammals, the size of the olfactory bulb was associated with the size of the hippocampus, a region of the brain that is responsible, among other things, for spatial memory. Many animals do use the sense of smell to navigate, similar to a search dog that follows the scent left by the person it is looking for, an ant following the pheromones left by its friends, or even mail pigeons. Humans, on the other hand, rely primarily on the sense of vision when they try to find their way. Does the connection between the sense of smell and the sense of direction also apply to us? 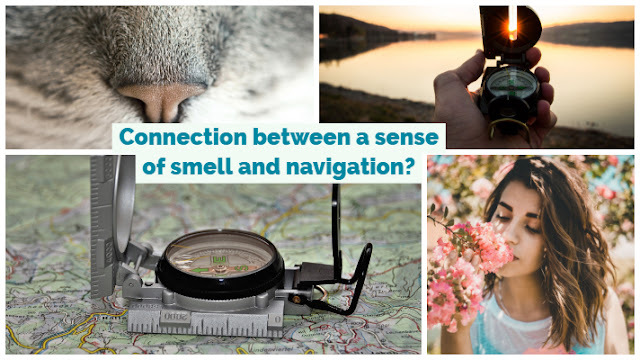 What is the connection between a sense of smell and navigation? Probably the evolution of the brain. To find out, the researchers recruited 57 subjects and placed them on two tests. In the first they were asked to sniff 40 sticks and match the smell to one of four words that appeared on the screen in front of them. Among the odors were almonds, ginger, chocolate, lavender and more. In the second test, the subjects "walked" for a while in a virtual town on a computer screen, and were then asked to find the shortest route between two places in the town, such as from the post office to a school. The researchers found a significant link between success in identifying smells and orientation in the virtual town: those who succeeded more in one, succeeded more in the other. Those whose sense of smell was less developed chose longer, more winding paths, and had trouble finding the shortest route. In order to find their way through the virtual town, the subjects had to build a map of the town, a spatial memory strategy, which occurs in certain brain regions, especially in the hippocampus and the orbitofrontal cortex. The researchers examined the same areas of the brain in imaging devices, and found that the right hippocampus is larger in those with a developed sense of smell and sense of direction, and the front - end cortex is thicker. The next step was to see if this area of ​​the cortex was essential for distinguishing odors and navigation. 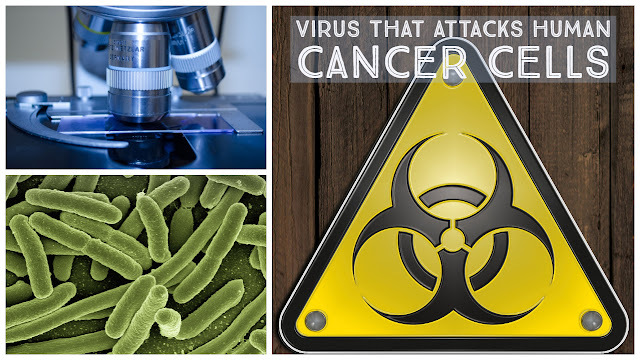 The researchers looked at nine patients with damage in this area, and found that they achieved worse results in both areas than did healthy subjects. The researchers also compared these subjects to subjects with damage to other areas of the frontal cortex. According to the researchers, the fact that the two capabilities seem to rely on the same areas of the brain supports the idea that the two brain systems evolved at the same time. So far this is only a theory, as of today it can only be determined that we now know a little more about the brain systems involved in both smell and navigation. Dahmani, L., Patel, R. M., Yang, Y., Chakravarty, M. M., Fellows, L. K., & Bohbot, V. D. (2018). An intrinsic association between olfactory identification and spatial memory in humans. Nature communications, 9(1), 4162. Jacobs, L. F. (2012). From chemotaxis to the cognitive map: the function of olfaction. Proceedings of the National Academy of Sciences, 109(Supplement 1), 10693-10700.